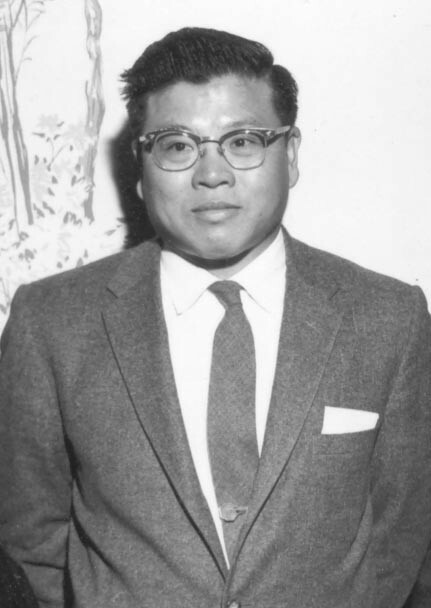 Lieutenant Colonel William Kwan Toy was born on 8 October 1921. He enlisted in the Arizona National Guard in 1938 two years prior to graduating from Phoenix High School. When the Japanese attacked Pearl Harbor, just three years later, he was already a Sergeant. He was selected for Officer Candidate School and was commissioned as a Second Lieutenant, Infantry in December 1942. Colonel Toy’s WWII service included three Pacific crossings and two tours of duty in the Far Eastern (China, Burma and India) Theater. He served on the staff of General Joseph (Vinegar Joe) Stillwell as an Infantry Weapons Instructor and later as a Liaison Officer to the Chinese Army. Some of his specific duties required his participation in the rebuilding of the Chinese Army as they prepared to move against the Japanese Forces. Colonel Toy served as a White House Courier during the Truman Administration assigned to the CIG (forerunner of the CIA) in 1945. In 1950, Colonel Toy was ordered to Korea and Japan while attached to General MacArthur’s Allied Translation and Interpretation Unit. He returned to CONUS for a tour of duty at the Presidio, CA as a unit Executive Officer (1951-1953). Later, he redeploy to the Military Advisory Group, Taiwan as an Infantry Unit Commander and subsequently served as the Public Information Officer in Okinawa (1954-1956). Colonel T oy’s awards and decorations include World War II Service Medal; American Defense Service Medal; American Campaign Medal; European, African and Middle East Campaign Medal; Army of Occupation Medal with bar (Japan); Korean Service Medal; United Nations Service Medal; National Defense Service Medal; Armed forces Reserve Medal; and 5 Overseas Bars. Colonel Toy is a proud member of the Arizona Bushmasters Regimental Combat Team. He has served in State Government as well as City Government and numerous Veterans Service Organizations. He has held every Officer Position in the Arizona Chapter during his long service in our Organization including serving as our 9th Chapter President in 1963. Colonel Toy was inducted into the Arizona Veterans Hall of Fame in 2002. Colonel Toy passed away on 24 Feb 2008, and is survived by his wife, Angela.